+ REALLY classy of TNA to wish Lawler a speedy recovery. Well done. + Interesting that both AJ and Chavo got wins over the tag champs. This has the chance to become interesting. + I like the attitude of this latest gut check participant. He seems humble and willing to do what it actually takes to make it. Also – we are both the same age and started out around the same time. His apparent right mindset already puts him in a favorable place in my mind. + Fatal 4 Way for the IC title… I like that. I’d prefer it if Cara wasn’t involved, but oh well… Did you see him botch the pin by the way? He had his hand under Miz’ shoulder. + I don’t know why I like the anger management segments in particular over other WWE sketches… But I do. Perhaps it&apos;s because both men involved are WWE&apos;s best thing as far as mic work goes. + Nice match between Tensai and Orton (this statement will repeat itself in the RAW part). The post match stuff was also refreshing. + Kidd is getting ample TV time and I for one am loving it. + Great TV main event in Sheamus vs. Bryan. + JBL and Cole! YES! YES! YES! I don’t know what it is, but these two are great together. They know exactly what each one’s role is and they do it to perfection. + The Breast Cancer awareness symbol next to the WWE logo, the pink middle rope and Cena’s gear are all good. Some might think it’s a bit much, but I think the more the better in these situations. + Nice finish to the Fatal 4 Way, and JBL sold it perfectly to the home audience in getting Miz over. + I liked how slowly but surely Bryan and Kane got along in the tag match… Until. It was sort of a repeat from Monday, but the finish worked. This is really becoming potentially the best feud of the year. + So Ryder ended up winning the Battle Royal… I think Ryder is so far undefeated in Battle Royal competition, ever. But seriously, it’s good that Ryder is getting back to a serious level of competition. Well, I do have my reservations but I&apos;ll save that for next week. + Good match between Cesaro and Ryder. Basic and effective, no needless pizzazz. + An absolute Clinic by Orton and Ziggler. It was methodical from start to end, and while some don’t like the style there’s no doubting that what they set out to do – they accomplished with flying colors. + Here’s hoping for more Divas’ matches like the one from NoC. + I find it really hard to see what there is to hate on Cena (as a performer, not a gimmick) after that main event. For example – the brilliant spot where Punk kicked his hand as he was going for 5 Knuckle Shuffle – Cena called that spot. Then there was the suicide dive. Punk’s counter into the crossface – while I didn&apos;t get a clear look, I am almost sure that was Cena&apos;s call as well. Another note – through all that, Cena apparently rolled his ankle nastily early on and still pulled out that match. And in this match the calling overall was 50-50, even 60-40 towards Cena as far as I could tell. + Overall I loved this PPV. Not a single bad match in the entire show. + I guess it’s safe to say that mentions of referees names are back. + “I’m the voice of the voice of the voiceless”. Once again - Ah, Heyman... Overall, while the opening segment went a little long, it had its high points. + JR, JBL and Cole! WOW! What a broadcast team for RAW! + I am all for Mysterio mentoring Sin Cara, perhaps he’ll even make him worth watching eventually. Regardless, as a tag team they work. Cara didn&apos;t even botch in that match. + Sheamus seems to have an affection for Judaism… As an Israeli Jew it’s always nice seeing him reference Judaism – The Jewish new year really was last night, for those of you interested. + I am thoroughly enjoying the tandem of Bryan and Kane. Well done, WWE. + I really liked Orton vs. Tensai (told you). Both men did psychologically what they should have - for example, Orton&apos;s multiple kicks to Tensai before the rope-hung DDT were absolutely necessary and I was afraid he wasn&apos;t going to do something along those lines to make it believable that he&apos;ll get him up for it. I do have one reservation - I think Tensai should&apos;ve attempted his Senton finisher, he was really building towards it with how he worked over Orton, but I guess the match structure didn&apos;t allow for a failed attempt at it as that would necessitate the beginning of an Orton comeback and they had that already planned out differently. + Sandow’s vocab lesson was great, I didn’t like Ryder’s rebuttal very much though. + So neither Cena nor Punk has beat the other cleanly… That’s very smart in building towards a rematch. - What was up with the opening segment ending so abruptly? Bully was literally mid-sentence. - If this is the level of X-Division matches TNA can put on now, I’d rather they stay scarce. That was a gymnastic display by the not very psychologically potent Dutt against who is frankly one of the best things going in TNA – Ion. Yes, he’s green, but I see a lot of potential in him. Now if only they’d book him against someone who is capable of having a match and not just quick leg movement (because honestly – anyone athletic could have wrestled this match in place of Dutt, it had no WRESTLING skill displayed in it). Whatever happened to the rivalry between Ion and Kenny King? Regardless – whoever produced this match as they did should be fired. - Am I the only one who finds Hardy putting his BFG series win on the line not only absurd, but also cheapening to the accomplishment? In comparison, has there ever been a Rumble winner who put his shot on the line? - Did… Did Chavo say HE invented “Lie Cheat Steal”? That’s a bit of a selective memory there, Chavito, don’t you think? - When the fans cheer Tara for turning on Tessmacher, you know something is wrong with the person holding the Knockouts&apos; Title. 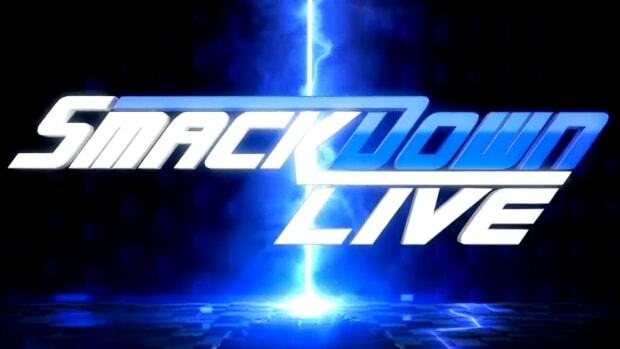 - While it may seem like I have nothing bad to say about Smackdown, the fact that the show goes (after commercials and recaps) for just one hour is inexcusable, and just doesn&apos;t give bad things a chance to happen. - What’s up with WWE becoming so Bureaucratic recently? Miz’ complaint is more or less the 5th in the past month. - Kane’s… Going to Disneyland? Ugh… yeah, that’s… Hmm. I’m as speechless as JBL. - I really don’t see the point of the whole Brogue Kick storyline if it’s unbanned to start the PPV match… Regardless, I’ve had enough of del Rio vs. Sheamus. New feud please. This match did not do any justice to the Cross Armbreaker, I’ll tell you that much. - I was really waiting for Punk to do that but he didn’t – the whole match the crowd was talking about Cena. If I were in Punk’s shoes, especially with this gimmick, I’d have left the ring, grabbed a mic and threatened to walk out of the match if the crowd didn’t start talking about him, or at least say “those of you who hate Cena don’t chant his name, chant mine”. - This is a really small thing, but… Why did The Colonz come out before JBL and JR? - “most unlikely Tag Team champions in WWE history”? Cole, I can think of 3 more unlikely team holding the Tag Team titles in the past. - Beth vs. Eve – who exactly were we supposed to cheer? I don&apos;t mind ambiguous characters and gray face-heel divide - I&apos;m even for it (which is why the main event irked me - see Maybe? ), but when you do have clear cut face/heel divides, You don&apos;t put two heels in a match against one another, &apos;cause the crowd just won&apos;t care. - Is it just me or was all the mic work on RAW floppy in one way or another? - Jarred from Subway again? How many times have we seen such on-air commercials that cheapen Wrestling as an art form? - What happened to Big Show? A month and a half ago he was in a very good position on the roster, now he’s off TV. How about having him challenge Sheamus for the WHC?
? Interesting way and circumstances in bringing Christian back to TV.
? While overall I loved the match between Cena and Punk, the amount of finishers hit in 5th gear was way too excessive. I did love how the go-home was handled.
? 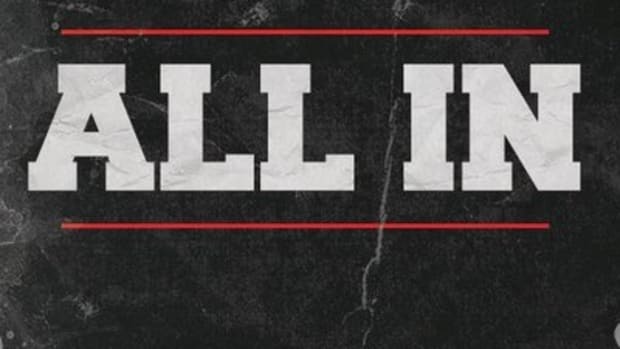 I am definitely reading too much into this, but bare with me - The RAW main event&apos;s team division irked me as on first thought if it wasn&apos;t for Punk being heel having both champions in a team against both challengers would&apos;ve made more sense. However, having a champion and the opposing challenger together makes sure they work as a cohesive unit - they both have a reason for wanting the team as a team to win (as supposedly the winning team&apos;s challenger will get a rematch while the losing team&apos;s challenger will not, so both winning members benefit), as opposed to the other way which would make the challengers both interested in getting the pin to get the shot. But as I said I am probably reading too much into this and what probably happened is just a face/heel divide gone lucky. Your question of the week is: Do you like John Cena&apos;s skillset (gimmick notwithstanding)? Why and why not?